Weight Loss. It Is Sooooo Not Just About The Food!! Are you 10, 20, 40, 100 pounds or more overweight? Are you sick and tired of being helpless and hopeless and frustrated in your attempt at losing weight and getting fit? Have you counted enough calories for several lifetimes already? Are you totally frustrated with every attempt you make to shed those pounds and inches of unwanted fat? Confused by all the conflicting reports about what actually works and what is just hype and media myths? Do you have an awareness that you are NOT your body? That you are a spiritual being having a physical experience? Would you consider yourself to be highly sensitive or more attuned to energy and the moods of people around you? And has that caused you to feel alone, alienated or anxious? Or do you use food in an attempt to “ground” yourself? Then you just might discover you are in the right place to finally transform your old self sabotaging eating and exercise habits into lifelong lean, strong and healthy ones. If you’d like to get off the diet roller coaster, get off the treadmill of long boring cardio routines that barely give you results and instead create sustainable health and fitness faster, easier, better than you ever thought possible , then this might be the most important letter you’ll ever read. It’s not just about the food! Ultimately the healthy, fit, lean, strong body you want to live in starts in your Mind. When you learn how to take charge of the thoughts and beliefs that are unconsciously guiding your every action and behavior, then weight-loss and fitness become not only possible but inevitable. And all without counting calories or being hungry all the time or depriving you of great tasting food. We have all been deluged by the media in the last 20 years with false notions of what foods are healthy and what foods make us fat. For example: We were advised to eliminate saturated fat from our diets under the erroneous assumption that fat makes you fat. Wrong! It doesn’t. We’ve been told that whole grains were just about the best thing we could eat. Wrong! The latest research points a finger at these so called “health foods” that quite literally cause inflammation in your digestive system as well as your brain. The endless supply of cheap carbs however, disrupts your body’s natural energy processes and you end up hungry all the time while your body just keeps adding fat to your “reserves.” A very simple, practical shift in the kinds of foods you eat not only increases your enjoyment of eating, it begins immediately to train your body to burn fat. In the midst of all the misinformation from the billion dollar diet and fitness industry, 2 types of exercise have emerged that get you massive positive results, in less time, with less risk of injury or boredom. You will learn both and have the option of mixing and matching the ones you enjoy the most. While we call it a “bootcamp” there will be no boot-camp style fitness Sargent yelling at you to do one more pushup, because you will know exactly what works best for you. And you won’t need to be yelled at because you will be highly motivated from deep inside your own being. Think about this: What if exercise was actually “fun”, “play”, “release”? This Revolutionary Program is different than any other program you have ever experienced or heard about. It specifically designed to ensure your rapid and longer term success. This class is led by not one out two excellent practitioners who walk their talk every day, Bethany Gonyea, MS and Mark Shepard NLPT. Mark Shepard is a certified Master Practitioner and Trainer of NLP, Hypnosis and Time Line Therapy, 3 of the most powerful change resources on the planet. He will teach you how to run your own Mind in ways that get you more of what you desire and less of what you don’t. You will stop looking at causes outside of yourself and be able to gently keep yourself on the path towards your goals without having to have a ton of “Willpower”. Without having to force yourself to spend hours preparing special meals or weighing your food. Bethany Gonyea is a 20 year practitioner of Bio-Feedback as well as yoga and Pilates. She will teach you how to understand and alter what you are experiencing in your body. 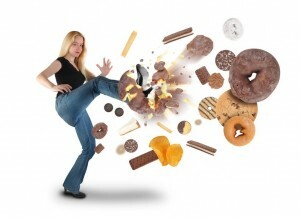 So that instead of unconsciously stuffing food in your mouth to sooth yourself, you will be able to rapidly “re-calibrate” yourself without the crutch of junk food.By focusing on “how” you “do” the old pattern of overeating, making poor food choices or avoiding moving your body, we empower you to be in charge of your own Mind/Body process. Most weight loss attempts start off strong but then peter out, adding to the sense of shame and failure that perpetuate the vicious circle of the diet roller coaster. This program is designed to give your the encouragement and support need in ways that are gentle, fun, meaningful and self perpetuating. You will no longer be a victim of your own behaviors and habits. While gently holding you accountable for your own behaviors and actions, we will train you to be the master of your own moods, emotions and actions. No more long boring cardio or risky, knee pounding jogging. You will learn two scientifically proven methods for reducing the time you spend exercising to as little as 5 minutes a day, while generating massive fat burning results without risk of injury. What would it be like if you deeply and completely accepted yourself? You will learn a powerful leading edge personal transformation technique that will enable you to stop the old self defeating thoughts, habits and behaviors permanently. This program will be recorded and the audio and video will be available for you at no extra charge so you will be able to reinforce the changes and improvements in your life as long as you need. You will no longer be alone in your battle to “enlighten” your body. You will not only have two top notch instructors/practitioners, you will have your fellow classmates who are in the same place as you, supporting you cheering you on, inspiring you, challenging you with love. Hypnosis has been medically approved by the American Medical Association since 1958. You will not only get the benefit of regular hypnosis with Mark Shepard who is not only a practitioner but a trainer of this modality, you will receive multiple self hypnosis CD’s/mp3’s for your own personal reinforcement. 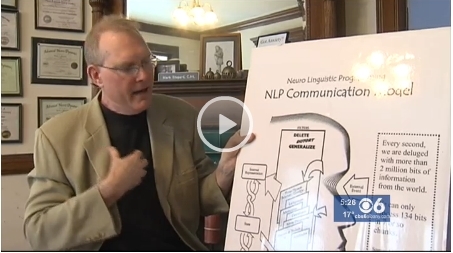 NLP (Neuro Linguistic Programming) is essentially the study of “what works” It is famous for working rapidly and almost “magically” to bring about change as well as peak performance. While Mark is a Certified Master Practitioner and Trainer of NLP, Bethany alos has an extensive backround in this field, you will benefit from two perspectives. As part of this course you will receive at no extra charge your very own biofeedback device so that you will be able to quite literally monitor the effect your thoughts have on your physical body. Bethany Gonyea is a 20 year practitioner of the science of Bio-Feedback. Who better to teach you how to manage your thoughts so that you and not some food or drink, determines your state. We bring a masculine and feminine perspective to your challenges. If you’ve ever worked with a weight loss coach of the opposite gender and felt like he or she didn’t understand your particular challenges based on your gender, this will be helpful for you. You will not have to count calories or starve yourself. You can actually enjoy food and lose weight at the same time. We’ll show you how. If you’ve ever experienced compulsive eating or eating disorders such as anorexia or bulimia, this class could save your life. Both of your instructors have either experienced some form these eating disorders themselves or have helped numerous people heal themselves of them. “It’s Not Just About The Food” is a 10 week Fat Loss and Fitness program held on 10 consecutive Tuesday evenings in Clifton Park NY (exact location will to be announced) that is designed to address the root causes of your struggle to create a lean, strong, healthy body and a healthy sustainable relationship to food so that you never have to go on a reduced calorie “diet” again. The program will come with multiple support tools such as self hypnosis CDs/Mp3s and videos so that you can deeply reinforce and support the kind of personal transformation that will get you the permanent positive results you long for. Our ultimate goal for you is that by learning the tools of transformation we teach, you will actually start enjoying being in your amazing body. You will be able to put food in its’ place as a necessary and enjoyable fuel for sustaining the best life you can possibly create for yourself. There are three 10 week sessions each year: Spring, Summer and Fall. We meet on Tuesday evenings 7 pm to 9 pm. Listen to what our clients say. Words can never express how grateful I am for the time I have spent with you. When I first found your website I instantly knew I had to find out more about your services and was somehow fortunate enough to bring you into my life. You patiently worked with me and helped guide me to a path of lifelong success. I was then blessed again to be able to spend extensive time working with you when I was selected for the 8-Week Weight Loss Challenge. I can never repay you for the life lessons you taught me from June through July. My weight dropped by 20 lbs. in that time period and I lost numerous inches but the biggest change was to my mind, my thoughts have never been the same since!! The concepts of Hypnosis, TimeLine Therapy, NLP , Swish Patterns and many more formerly foreign sounding phrases now mean a lot to me. I am able to use the principals and concepts you taught me to better all aspects of my life, not just my weight. I am constantly reminded of the priceless information you presented to me and it continues to make a difference in my daily life. You taught me that I am in control, only I can make change happen. Every day old behaviors feel more and more uncomfortable and the new habits seem more natural. Even after the next few months of ongoing support are past I hope to be able to continue to work with you and learn from you. You are an amazing support in my life and your words stay with me even when I am not in your presence. “I’ve passed my goal weight for this week! I’ve lost 34 pounds so far. the “why” questions are my constant companion and advocating cadence. I am really starting to “get” the science behind the book, “Grain Brain” and how there is new path open for me towards life long health and fitness, Mind, Body and Soul.” – A. M.
“It wasn’t an “instant” fix. It took a little while but one day, I just stopped wanting all the sweets that I used to crave. Now I’m drinking more water and loving my body more.” – K. F.
If you keep doing what you’ve always been doing you will keep getting what you’ve always gotten. This course is fundamentally different from any other program out there. You can severely restrict calories only so long until it triggers hormones that actually cause you to retain fat. The solution is simple and sustainable, but it must be accompanied by a trained Mind which thinks in different ways than the ways that caused the problem in the first place. Do your instructors actually know how to help you? Have they overcome similar challenges successfully? Bethany and Mark have both walked their talk and managed to heal themselves of significant physical ailments, as well as habitual thought patterns around food and self worth. Does the program have positive benefits in all areas of your life? Does the program have long term positive effects that are self perpetuating? Does the program utilize leading edge tools and techniques backed by solid science that enable you to stop wasting your time guided by erroneous “media myths” and actually get real, tangible, repeatable results? This program contains 10 two hour interactive classes conveniently scheduled on Tuesday evenings. That’s 20 hours of class time with the personal coaching of both Mark and Bethany. If you were to work with both of them individually for the same time period it would easily cost $6,000. Which, by the way, is way cheaper than the $20,000 it would cost for the typical Bariatric surgery which only addresses the symptom not the root cause of your problem (and people actually die from infections and other complications). And what is the cost of years of failure and frustration? What is the personal cost if you don’t finally handle this area of your life? What is the true cost of continuing to do what you’ve been doing? Because you will definitely keep getting the same result. You get 10 two hour sessions with both Mark Shepard, NLPT and Bethany Gonyea, MS where you will learn powerful, leading edge tools to master your Mind for a change and defeat the old patterns that have been causing the problem. You will learn cutting edge nutritional approaches that will make getting lean and healthy easy and sustainable. You will receive your very own personal Bio feedback machine, a Galvanic Skin Response sensor which will put you directly in the drivers seat of your own thoughts and emotional state. You will learn at least 2 proven, leading edge ways to get maximum results SAFELY from the minimum investment of exercise time and effort. You will get audio and video recordings that you can use between sessions to stay on course and to inspire and motivate yourself. You will also get the benefit of the compassionate and consistent leadership of two of the area’s most qualified practitioners. You will have the support of your fellow class mates. You can’t lose with our 100%, ironclad, money-back guarantee! Your satisfaction is assured through our no risk, you-can’t-lose, 100%, no-questions-asked, iron-clad moneyback guarantee. If for any reason, you aren’t thrilled and satisfied with your course, just let us know after the first class and we’ll refund 100% of your purchase price. No hard feelings. What I’m saying is, don’t decide now if this course is for you. Just give it a fair shot and try it out. If it doesn’t feel right to you or you don’t resonate with us or see how you can truly benefit from this course or if you don’t think it can do everything I say and more, if you don’t save money, time and frustration, if it isn’t life-changing, if it doesn’t work for you, you have nothing to worry about because you can get every dime of your money back under our no-loopholes guarantee. So you have nothing to lose and everything to gain. Here’s how to get started and reserve your seat right now! Bethany and Mark really helped me to “show up” for myself and my life. You gave me inspiration and courage. I am now so quickly able to spot when I’m off track. These transformational tools have be come an active part of mylife. – P. S.
Don’t take my word or their word for it. Experience it for yourself! P.S. Remember, there are only 5 free 1 on 1 one consults with Mark Shepard, NLPT available and the other the free bonuses are limited to the first 10 who apply. I can only guarantee you’ll receive them if you choose to take action right away. So don’t delay. Act now while it’s fresh on your mind. P.P.S. Many of the concepts in this course have been extensively researched and tested by a man you will never hear about or learn from except here, Mark’s 86 year old father who still swims 3x a week, has a muscular body and flat tummy in spite of the fact that as a young man he lost his left leg, smoked, drank and ate a horrible diet.